Provide comfort for the family of Lillie "Marie" Bohannan with a meaningful gesture of sympathy. 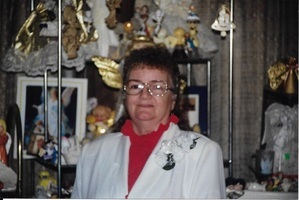 Ratliff City - Celebration of Life Services for Mrs. Lillie Marie (Beach) Bohannan, 74, of Ratliff City is scheduled for 6:00 pm to 8:00 pm at the Ratliff City Senior Citizens Center on Wednesday March 27, 2019 Cremation services were handled through Alexander Gray Funeral Home of Ratliff City. Marie was born on March 27, 1944 at Checotah to the late Mr. George Lawrence Beach and Mrs. Bonnie Maggie (Burks) Beach. She departed this life on Thursday Feb. 7, 2019 at the hospital in Healdton. Marie was raised at Checotah graduating high school there. She loved to decorate cakes providing these for numerous occasions and for many people all over. Marie married Mr. W.C. "Dub" Bohannan on July 1, 1969 at Gainesville, TX. They resided in Ratliff City happily with their seven children. Marie was always a devoted homemaker and loved playing bingo, collecting dolls and being with her family. Preceding her in death are her Parents; George Beach and Bonnie Limbaugh; Husband - Dub Bohannan, March 21, 2016; grandson, Patrick Carter; sisters, Corkey Sisco and Glynda Camp and brother, Larry Beach. Survivors include children, Bruce Bohannan and life partner Chuck of Inverness, FL, Toni Epley and husband Vance of Ratliff City, William Clark "Dub" Bohannan and wife Debbie of Ratliff City, Terry Lee Gordon and husband Jerry of Healdton, Terri Jeanne Burch and husband Dennis of Wilson, Leon Bohannan and wife Cindy of Pauls Valley and Larry Bohannan and wife Jovita of Duncan; sister, Bobbie Farmer and husband Leo of Muskogee; brother, Arthur Limbaugh of California; 8 grandchildren, Jason, Jennifer, Amanda, Jeramy, Cory, Savanah, Jessica and Lynn Marie; 18 great grandchildren, and numerous other family and friends. 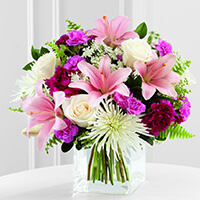 To send flowers in memory of Lillie "Marie" Bohannan (Beach ), please visit our Heartfelt Sympathies Store. We encourage you to share your most beloved memories of Lillie "Marie" here, so that the family and other loved ones can always see it. You can upload cherished photographs, or share your favorite stories, and can even comment on those shared by others. John & Emily Gemma sent flowers to the family of Lillie "Marie" Bohannan (Beach ). We are so sorry for your loss. You are all in our prayers. John & Emily Gemma purchased the The FTD Shared Memories Bouquet for the family of Lillie "Marie" Bohannan.